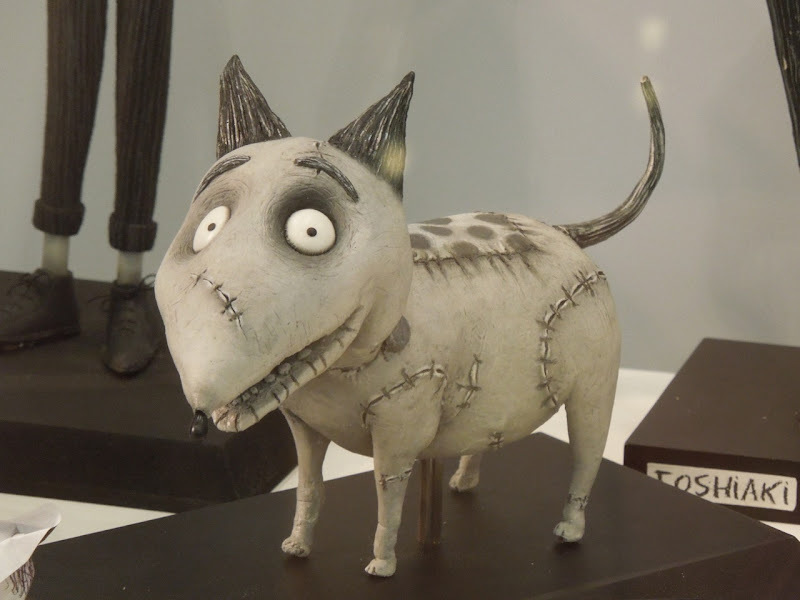 Hot on the heels of ParaNorman comes another spooky stop-motion animated tale just in time for Halloween, Frankenweenie. 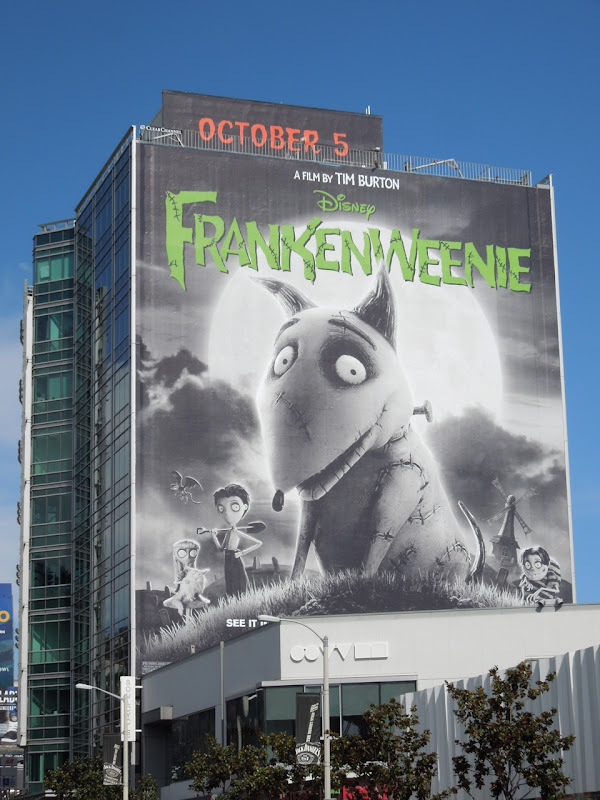 This time it's courtesy of the unique vision of Tim Burton and those clever folks at Disney. 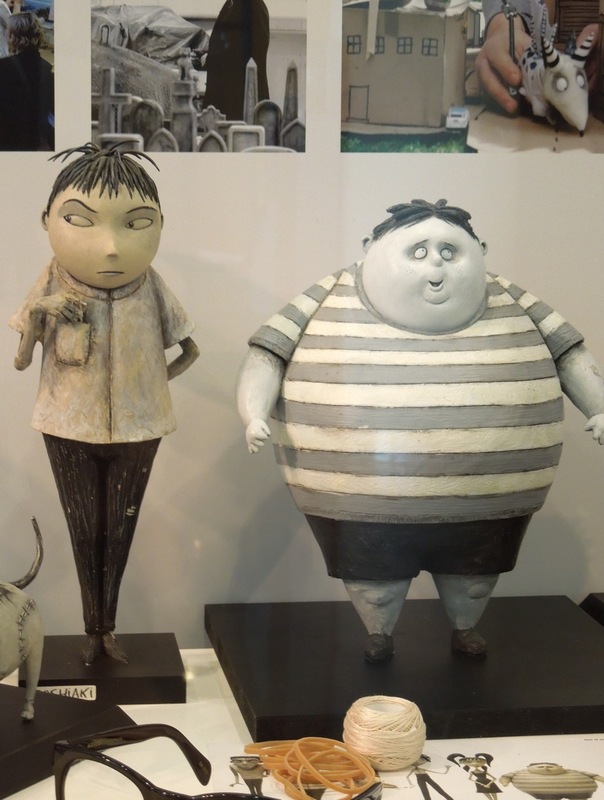 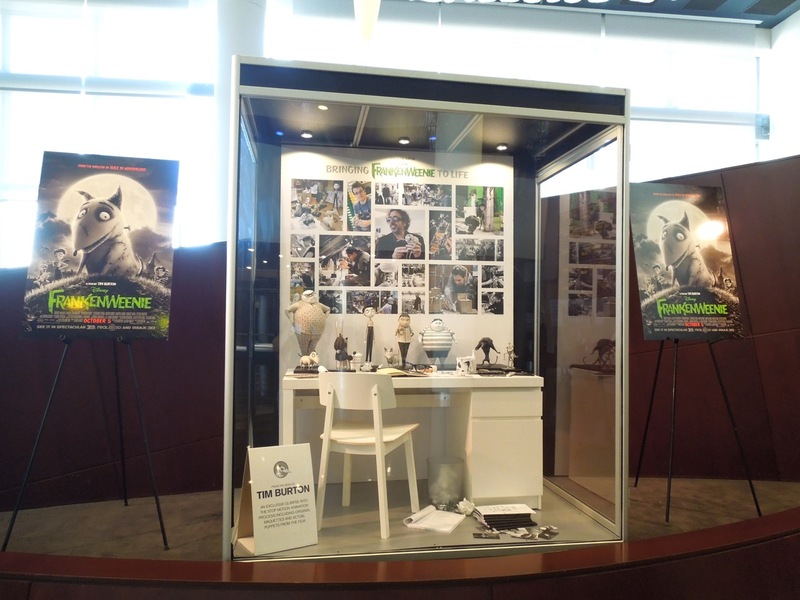 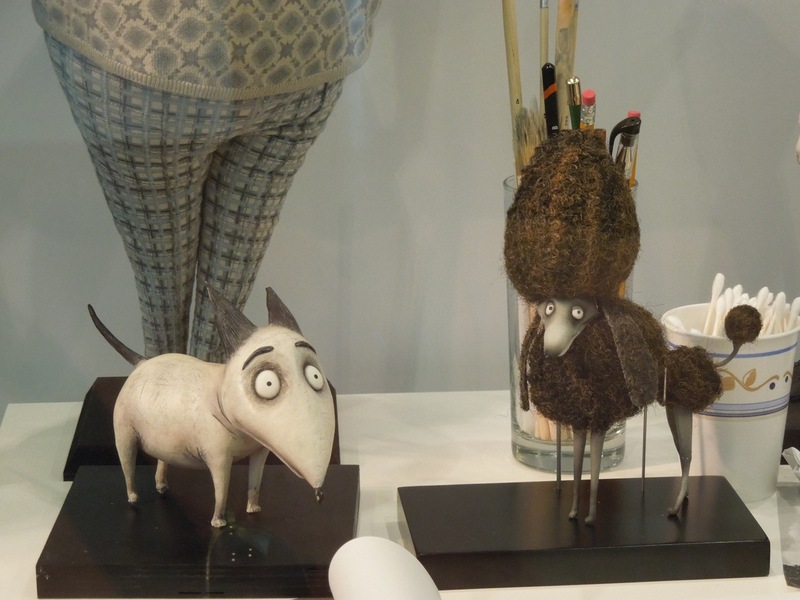 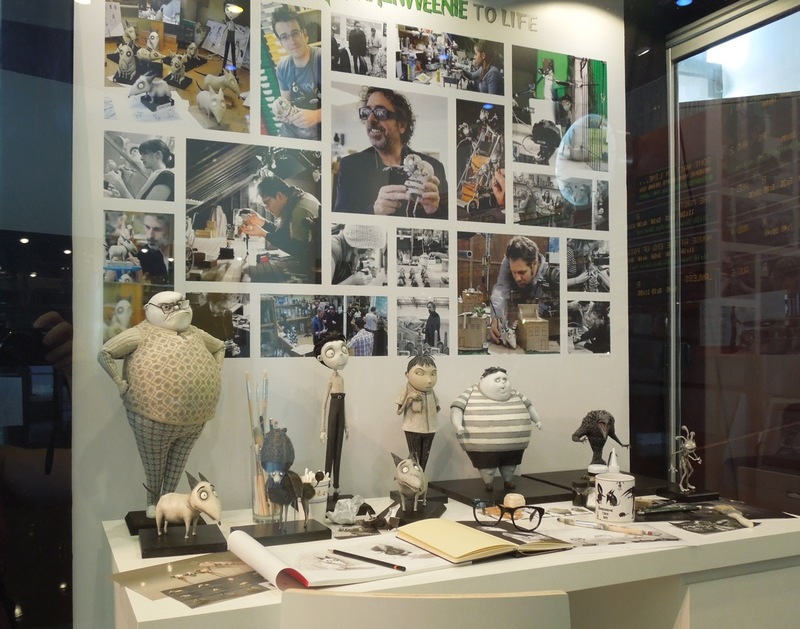 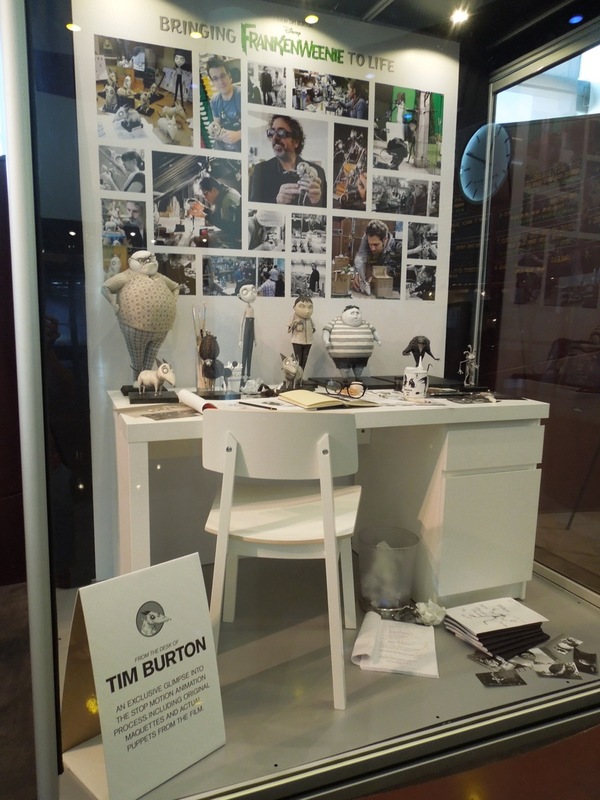 This fantastic exhibit of original production maquettes, concept artwork and puppets featured in the movie, which is a remake of Tim Burton's 1984 short of the same name, were photographed on display at ArcLight Sherman Oaks cinema on September 27, 2012. 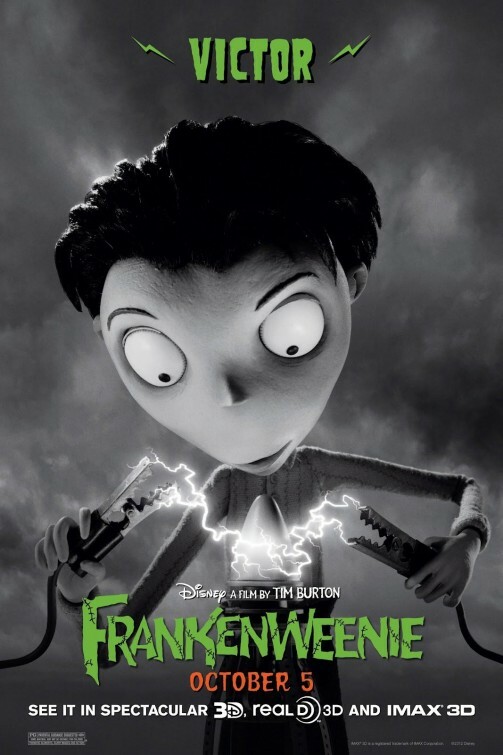 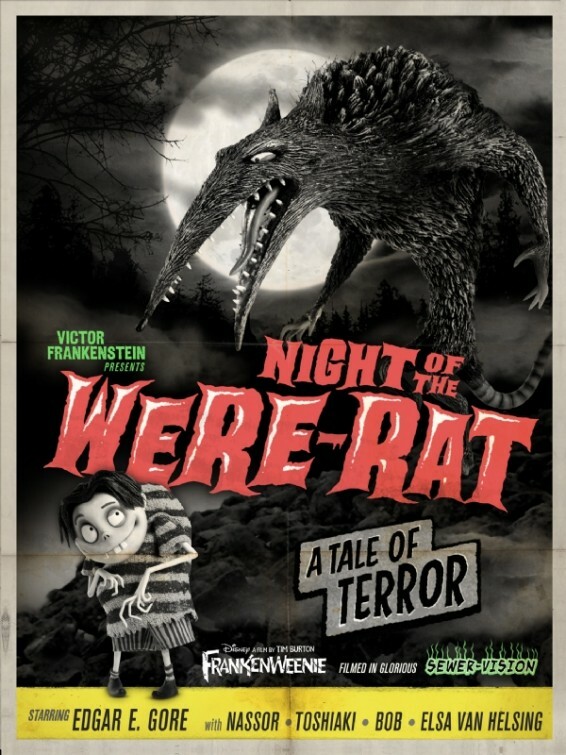 In an homage and parody of the classic horror movie featuring Frankenstein's monster, Frankenweenie is the tale of a boy who brings his dog 'Sparky' back to life with science after his pet is killed by a car. 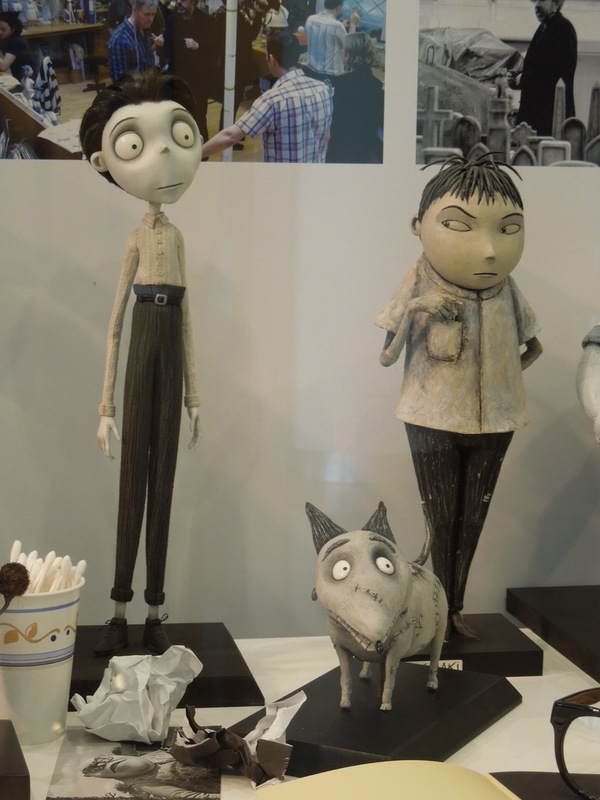 Here's 10-year old 'Victor Frankenstein' and his faithful re-animated bull terrier, plus his mega-competitive classmate nemesis 'Toshiaki'. 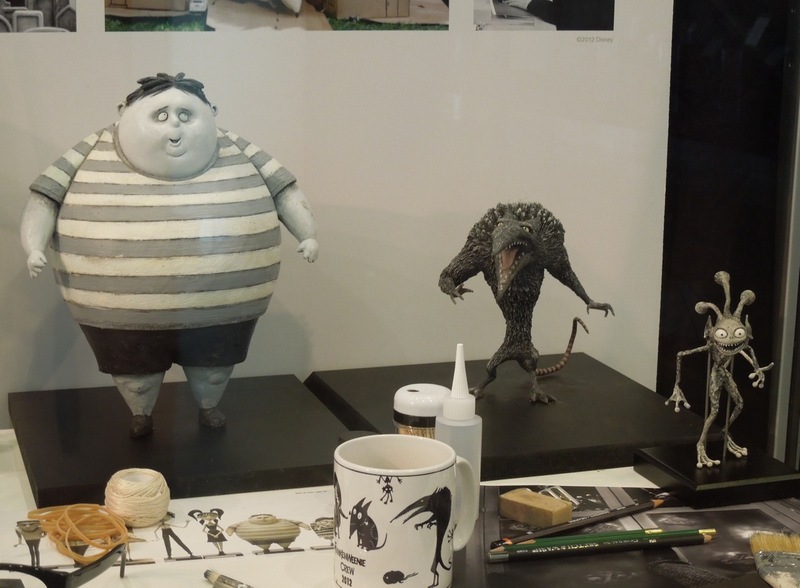 The fat boy is called 'Bob', who's described as a momma's boy and the brawn to Toshiaki's brains. 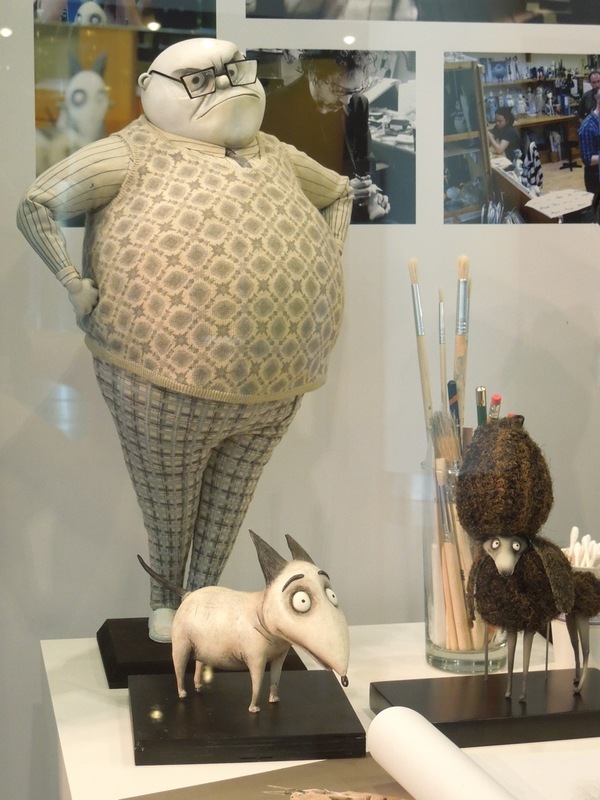 As always I'm in awe of the work and detail that goes into creating these animation puppets and bringing them to life on the big screen. 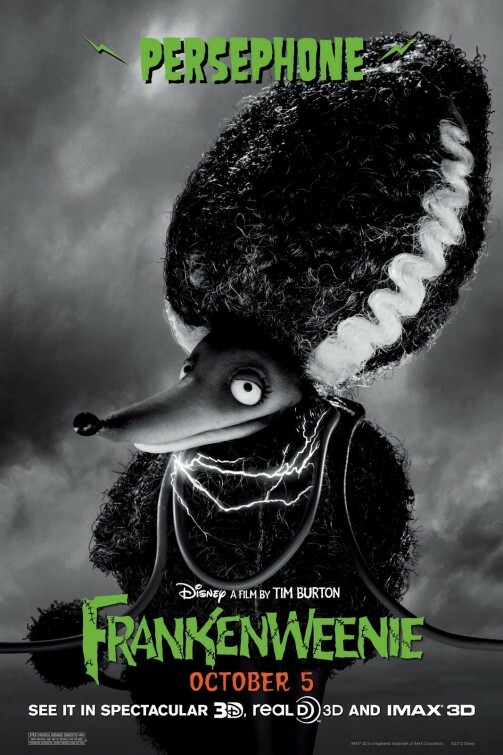 In the movie the black poodle 'Persephone' is attracted to Sparky and appears to be designed as a tribute to the Bride of Frankenstein. 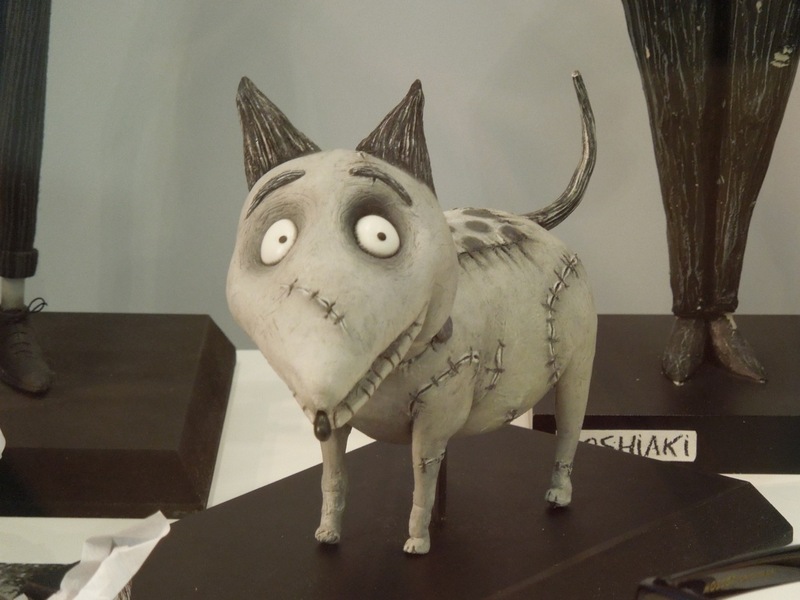 She is the pet of another character, 'Elsa Van Helsing'. 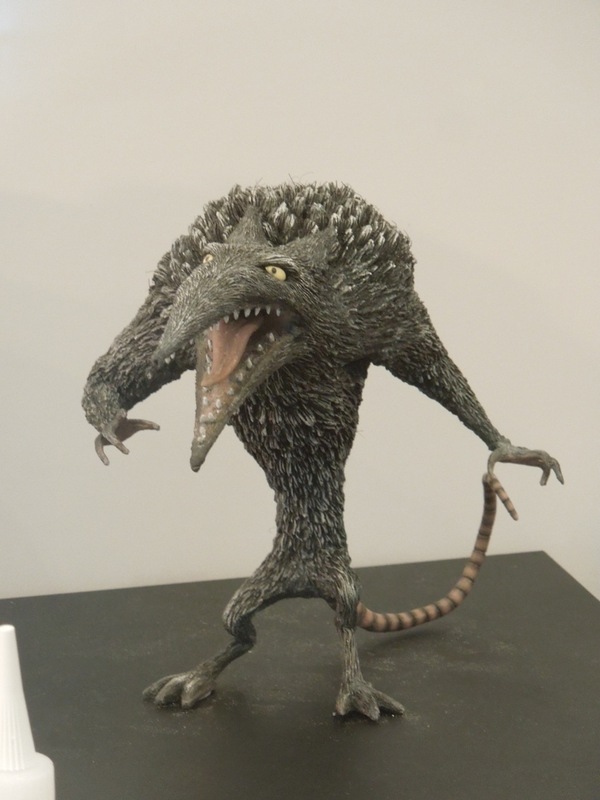 Meanwhile this were-rat monster seems to be a creation of another classmate of Victor's, the misfit 'Edgar "E" Gore'. 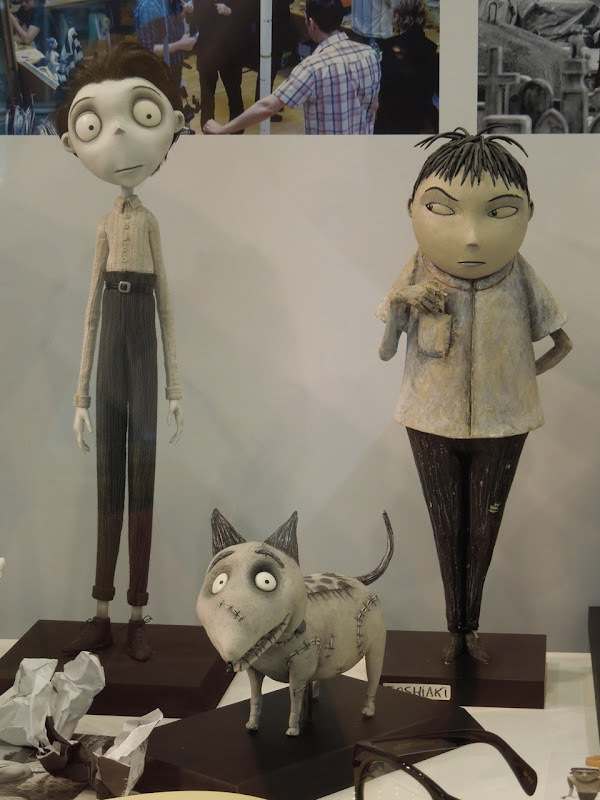 If you like these movie models, be sure to also check out these other stop-motion puppets and sets from ParaNorman.